Oliva Cigar Co's new factory, Tabolisa II, is where the company is focusing production of its lighter-hued cigars, such as Oliva Connecticut Reserve. Oliva Cigar Co., the maker of Cigar Aficionado’s 2014 Cigar of the Year, is in the midst of a major expansion of its Nicaraguan operations, where it makes all of its cigars. Not only is the company renovating its main cigar factory in Estelí, it recently began making cigars in a new, secondary facility in the same town. Oliva also opened a new factory for making cigar boxes. All of these moves will result in the company increasing its cigarmaking capabilities by 40 percent, giving it the potential to roll some 30 million cigars annually. Oliva made 22 million cigars in 2018, all of them by hand. 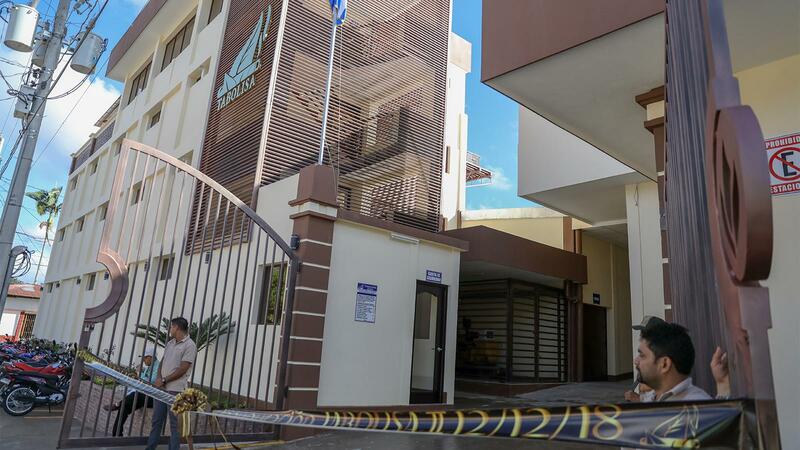 It employs roughly 1,500 people in Nicaragua. “We believe in the future of our business, we believe in a longterm investment and we believe in Oliva,” Frederik Vandermarliere, CEO of J. Cortès Cigars N.V. of Belgium, told Cigar Aficionado. J. Cortès acquired Oliva in July, 2016. The new factory is where Oliva is focusing production of its lighter-hued cigars, such as Oliva Connecticut Reserve. Oliva’s Tabolisa II has the capacity to make 25,000 cigars a day. Tabolisa II was formed from an existing building that Oliva renovated. “We probably demolished 80 percent of it,” says Bappert. Oliva has long relied on two cigar factories to make its products, and it once had a smaller factory in Danlí, Honduras, along with its main facility in Estelí, Nicaragua. The Honduran factory closed roughly six years ago. 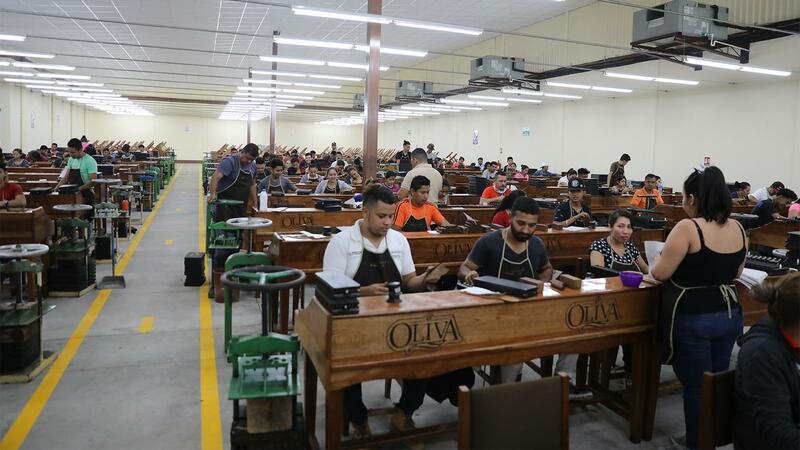 As the new factory opened, renovation was underway at the main Oliva cigar factory, where the company makes its highest-rated cigars, including the Oliva Serie V (Cigar Aficionado’s current No. 8 cigar of the year) and the Oliva Serie V Melanio, Oliva’s rarest line of smokes, which took Cigar of the Year honors for 2014. The factory is known as Tabacalera Oliva S.A., but also called Tabolisa I. That factory went through an earlier renovation and extension process throughout 2018, and the current renovation is expected to be finished in the summer, or the third quarter of 2019. The completed expansion brought new coolers and aging rooms to Oliva, as well as a larger area for storage of pilones, the large piles of tobacco that are undergoing fermentation, prior to aging. The last steps of the renovation process are planned for the offices and the rolling area, which will be renovated in stages to avoid disruption of the busy factory. Oliva stated that the improvements should result in a serious capacity increase and improved working conditions for the employees. The expansion plan will wrap up roughly three years after Oliva was acquired by J. Cortès. “From the very beginning of Oliva’s takeover, we always emphasized the fact that nothing would change regarding the brands and the quality,” says Vandermarliere. Oliva has grown considerably in a relatively short period of time. In 2006, the company was making around 6.5 million cigars a year, and it doubled its production by 2010, to 13 million. Eight years later, it had grown to 22 million. The Olivas faced tough times not long after starting their cigar brand, as the year 1997 was a difficult one for cigarmakers, facing an oversupply of cigars. To better their profit margins, the company began to focus their efforts on the Cuban-seed Nicaraguan tobaccos grown by patriarch Gilberto, tobaccos that were dark and flavorful, if not particularly in demand at the time. The move helped establish Oliva’s taste profile, one that would later reward them with high ratings. The company has had a cigar on Cigar Aficionado’s Top 25 consistently since 2005, with seven appearances in our Top 10. Its top accolade came when the Oliva Serie V Melanio Figurado was named Cigar of the Year for 2014, with a score of 96 points. One change from the days before ownership by J. Cortès is that Oliva no longer owns its tobacco supply. The Oliva family maintained control over its tobacco fields in the deal, but it still grows the tobacco used in Oliva cigars. “The Oliva family still owns the growing operation, and we are their sole customer,” says Bappert. The new owners, the Vandermarliere family, are a much bigger organization than the Oliva family, but they still are a family company. And they showed a nostalgic side upon the opening of Tabolisa II. To commemorate the new factory, they banded up 100 of the first cigars made there, and put half in a special place in the facility. The other half were shipped to J. Cortès headquarters in Zwevegem, Belgium.